There are elements of this collection I really liked; I like that concise, terse style in general, I like the pervading sense of hopelessness and the attention to small details that bring certain elements of it to life. I like the way the violence that runs through most of the stories (most notably ‘Calm With Horses’ which follows a weed dealer, his deranged and dangerous uncles that grow his supply, but most importantly his enforcer, appropriately nicknamed Arm) is not overstated. The collection offers opportunity for discussion and analysis about masculinity, about violence, dysfunctional relationships and lack of communication. Some of the stories didn’t quite hit the mark, namely the final one ‘Kindly Forget My Existence’ (a quote from Joyce’s Dubliners no less), following two men in the pub who in a roundabout way discuss their friend/lover who recently passed away, which seemed largely out of place, likely due to their references to life outside the town itself. 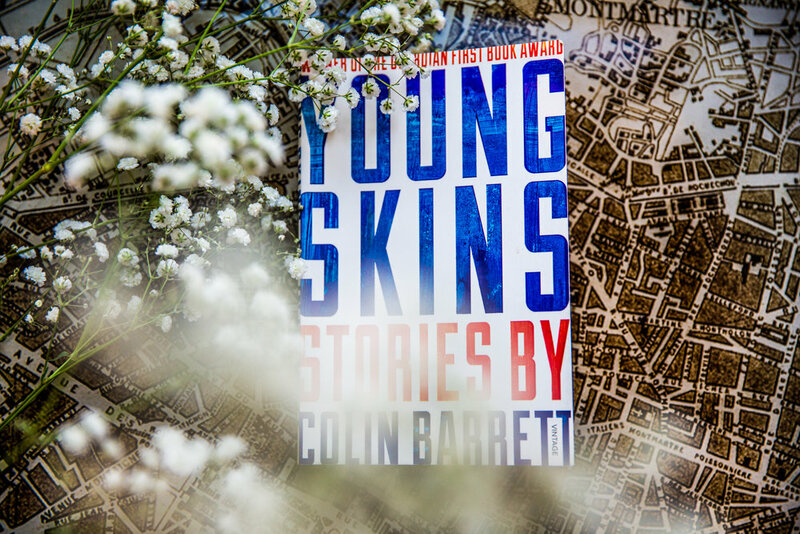 The stories that stand out in my head having finished the collection a couple of weeks ago are the longer ones, ‘Stand Your Skin’ and ‘Calm With Horses’, where Barrett is adept at tracing the layers of his protagonists, and allows for the plots to take their time unfurling. And yet I feel like there is something missing, or perhaps I simply feel like I’ve read it before. Though it didn’t feel tired to me when reading it, looking back at the stories now, I feel like maybe I’ve seen this kind of material already. The collection revolves around men of Barrett’s own age (late twenties/early thirties), and though I am reluctant to require my reading material to present me with something other than male perspectives, I feel like in this instance it really would have filled a hole, and elevated the collection. As I say, the stories provide a way of looking at masculinity and the ways it governs or shapes its characters. Does the lack of feminine influence, the use of women only as romantic interests or unattainable or something to be protected or mothers or sisters; is this what makes the men’s world quite so hopeless? This is probably the analysis that works out best for women, and maybe that is the point, but I can’t help feeling that this idea of women as a necessary balance for masculinity and violence in order to make the world loving again a little bit worn-out. The closest the collection comes to doing something more in this way is ‘Bait’, a story that ends explosively with two girls turning upon their pursuer (though invariably it is seen through his eyes). Nonetheless I enjoyed reading the collection, and if you are looking for a good selection of stories to read and maybe inspire your own writing. Ultimately, though, they seem to stop just short of doing something more, and I’m not sure that they are all that memorable.